The table below provides a summary of our Word workshops. You can click on the course outline button for a PDF document with more details. 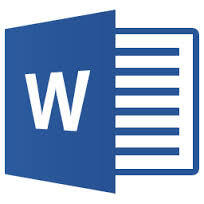 Level 1 1 Day At the completion of this course, students will have a clear and understanding of using a document for word processing including navigating around the document, formatting, tables, tabs, layouts and printing. Level 2 1 Day With many tips and shortcuts to help you create a stylish document faster and with more functionality, this course will enhance your level 1 Word skills to include styles, sections, headers and footers, mail merges and other more advanced tools! Level 3 1 Day With many tips and shortcuts to help you create stylish documents faster and with more functionality, this course will enhance your level 2 Word skills to include advanced tables, fields, table of contents importing, protecting documents, creating indexes and recording macros!